Continue the epic journey as it unfolds in Star Wars: The Last Jedi! Show off your love for adorable creatures with this Star Wars: The Last Jedi Chewie and Porg Mini Brief Handbag. 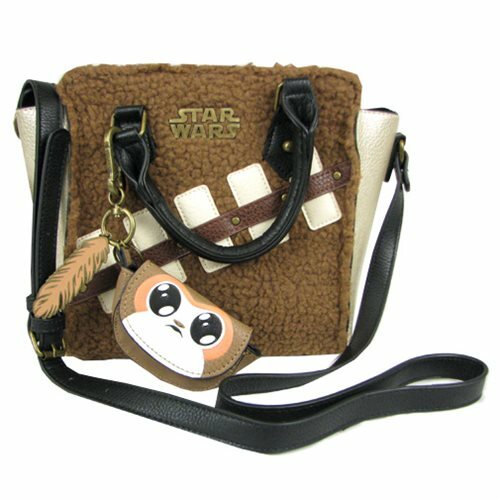 The purse is designed to look like Chewbacca and includes a detachable Porg charm. Add a dash of Star Wars: Episode VIII - The Last Jedi to your wardrobe! Ages 14 and up.